Just last year, I experienced an event that is mostly dreamed about by princess-loving, preteen girls. Although I hate to admit it, a part of me wanted to shriek like one as I first laid foot into this historical landmark. 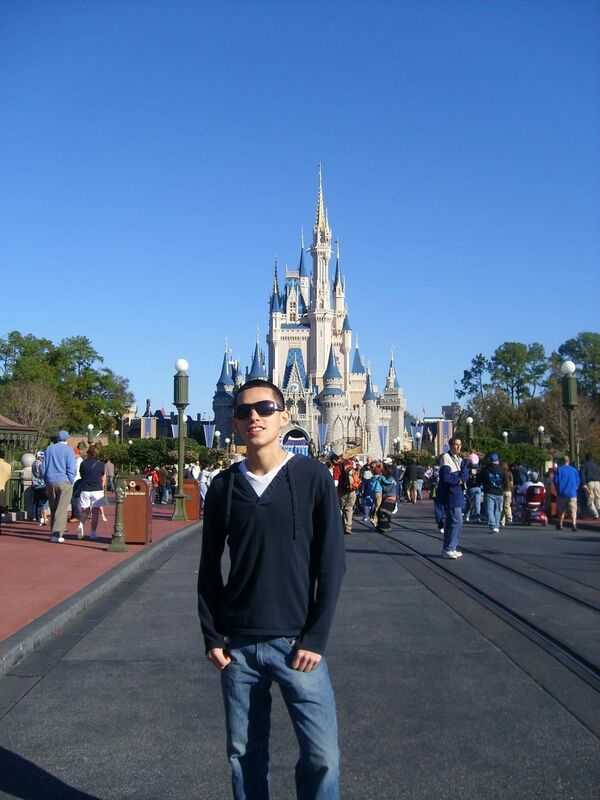 The Walt Disney World Resort is by far the most inspirational place that I have ever visited. It is a venue that promotes diversity and appreciation for all cultures; but even then, it reminds us of one thing, that we are not all so different after all. I made the trip during my first year of college. The high school dance team that I had graduated from was taking part in a national competition. Having returned to be a “big brother” for the new team members, I felt the need to continue my support by flying all the way to Florida with them. I did not have the recommended documentation to travel by air, but it was an opportunity that I could not surpass; so, I took the risk. The risk was more than worth it. I would do it a hundred times over. I spent the weekend with two other veterans from the dance team at the Caribbean Beach Resort. It was beyond beautiful! It was awing enough to see palm trees, for I am a long-time Chicagoan. Hundreds of palm trees in combination with clear pools, light-brown sand, and old-fashion, wooden bridges made up the view of this fantasy. To make things even more surreal, the pools were heated, a great accommodation to the late January weather conditions. That was all it took for my inner child to regain dominance over my adult body. After taking at least thirty pictures of this resort, I hopped on to a bus and made my way to the Magic Kingdom, or as I now call it “La-La Land”. I could not help bouncing in my seat as I approached this destination (I’m getting an adrenaline-rush just writing about it). The lights blinded me as I stepped out of the bus, as if it were a time-traveling machine. Just as suddenly, one of my comrades realized that she forgot her pass to get into the park. They both decided to go back to the resort and stay there. There was no dragging me along, I was hooked. They left me to venture alone; I was too fixed on this strange world to realize the difference. My focus would shift from the colorful carousel to the crowded shops to the foreign smiles and finally, to the grand castle! It was like a magnetic pull from the palace to my body, my feet easily obeying. I took a picture when the castle turned pink, when it turned green, when it turned purple, and when it turned blue. Just as I approached within feet of its surrounding fence, the infamous show began. I did not know what was more stimulating: the music in my ears, which brought back memories of the movies I had seen as a child, the fireworks reflecting from my tearing eyes, or the vibrations that flowed through my body from the richness of the melodies. It was a moment in time, nothing else mattered. I further enriched the rest of the night alongside my old coaches and the new dance team. We rode Space Mountain at least five times before I finally remembered that I had two other buddies back at the hotel room. We returned to the Magic Kingdom the next morning. We spent the next few hours taking advantage of the attractions in this park. I was well past my hundredth picture by the time we rode the “It’s A Small World” boat. We spent most of the time trying to decipher the country of origin behind each of the doll performances. It definitely made me aware of how much I don’t know. Other amazing adventures that I experienced included Expedition Everest in Animal Kingdom. I was just amazed at the technology that was required to create the effect of the ride. The holographic effects, as well as the whole Yeti theme make this adventure the best roller coaster ride that I have ever ridden; and I am a faithful Six Flags junkie. The intensity of my appreciation peaked at my arrival at Epcot. I was exposed to many countries without having even left my own. Although each country had its beauties, the wondrous thing was seeing them all together in the same setting. I left Disney World a changed man, despite the innocent child I found within me. It is remarkable how one place alone can create a burning curiosity about hundreds of other places out in the mysterious world. It left me with an open mind and with a connection to all of the other people that shared the same appreciation as me. Disney World is a gift to all; and it is ok to have that one thing in common with loud, little girls!